How many ways can they anesthetize themselves from a tragic memory buried too many lifetimes ago to count? Forty-something Hannah, fifty-something Mitsy, and sixty-something Pandora, indulge in a creative assortment of addictions that obscure the mysterious connection to a common past that haunts them all. Estate reserve pinot noir, QVC, and a deck of maxed-out credit cards drive the beautiful, outgoing Hannah and her Virginia horse farm into a financial corner that alienates everyone around her, including the love of her life. Religion, spiritualism and an addiction to the telephone psychic, Pandora, create the agoraphobic cave into which Hannah’s lackluster older sister, Mitsy, retreats from everyone, including her critically ill fifteen-year-old daughter, Sydney. Otherwise living in financial splendor in a Connecticut mansion with her mostly absent husband, Aaron, Mitsy arrives at a point of desperation at which she has no choice but to beg the irresponsible Hannah to assume her daughter’s care. Pandora, a brilliant but obstinate, burned-out telephone mystic, lives in a rustic cabin overlooking Lake Tahoe and Heavenly Peak. For reasons that confound even her, Pandora drops every client from her roster but the ever irritating and obsequious Mitsy. Tested by Mitsy’s constant phone calls, as well as the many mystical dilemmas surrounding them all, Pandora trades her green tea and tofu for the cigarettes, coffee, Snicker bars, fine wine, and hashish that muddy her mystical vision just when she needs it most. The link to their recovery is Sydney, the child among them, and the stake they all share in her perilous condition and unlikely cure. 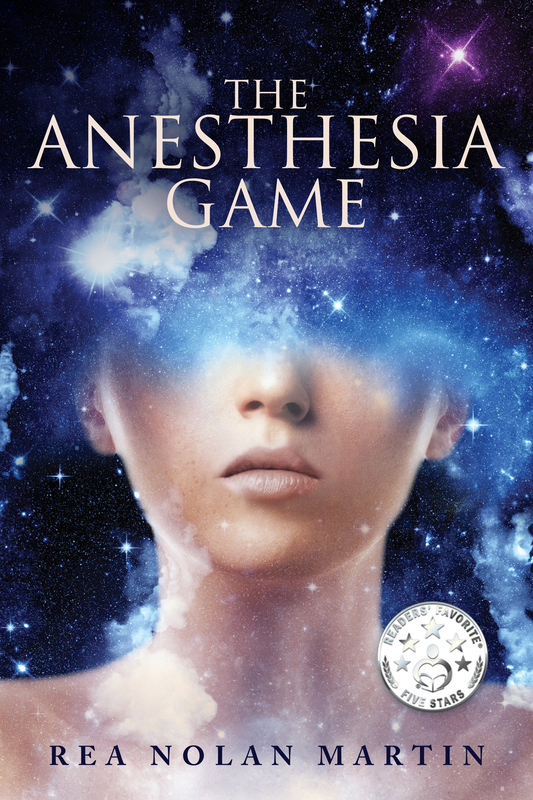 As Sydney submits to the weekly treatments for an illness she refuses to grace with a name, she plays THE ANESTHESIA GAME, a game that ultimately leads her to the origin of her disease and a way out of the struggle that binds them all. Narrated from the points-of-view of each of these women in alternating chapters, THE ANESTHESIA GAME is a 360 degree tale that begins in the present, revealing the distant past in delicate flashes of memory. In the end, the women discover their heroic natures only when forced into the crucible of a hospital ICU, assisting Sydney as she swings precariously between life and death. In The Anesthesia Game each of the characters has been taken (or takes herself) off-course on one wild ride or another. Ironically, these detours serve to bring their lives into focus in order to reveal their true destinies. Do you think this happens frequently in life? Do you think adverse events are necessary to detach us from our superficial lives and re/connect us to purpose? In the end, how did each of the characters benefit from the adverse circumstances s/he experienced as a result of Sydney’s illness? It is said that we each have at least one master in our lives who teaches us how and where to walk the path. In what way did each of these women (wittingly or unwittingly) instruct or assist one another? When we think of a child or young adult enduring the rigors of chemotherapy, we are mostly outraged by the injustice of their suffering. How does the character, Sydney, transcend suffering and consequently, victim consciousness? How does she teach the others to do the same? In the beginning, the character, Pandora, is painted in shades of light and dark. She is an ambiguous creature, a mystic, who, depending on your viewpoint, could be crazy or genius. How does she portray both ends of the spectrum? How do you feel about that dichotomy at the end of the story? Does she fulfill her destiny? As the science of physics and energy moves into mainstream knowledge, we become more aware that every material thing contains a specific vibration and frequency. Does it seem logical that at some point medicine might be able to pinpoint the vibration of individual diseases? If so, can the cure be far behind? Did you find this line of thinking far-fetched when first introduced into the storyline? How do you feel about it now? 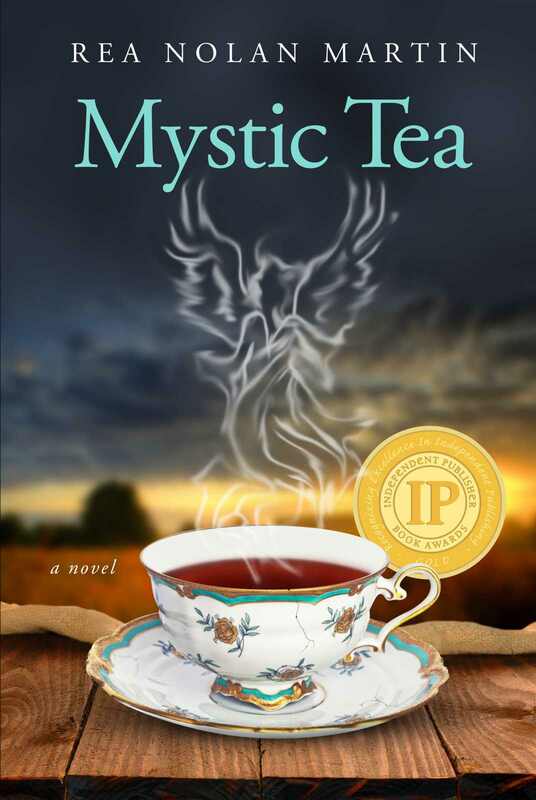 MYSTIC TEA is the inspirational and sometimes comical story of six quirky women living in a rural monastery, who are all that remain of a community that once thrived. Lost in an emotional and spiritual fog, they struggle daily with faith, friendship, loyalty, obedience, crushing debt, and now--an Official Investigation of Women Religious launched by the American bishops in Rome. Only a miracle can save them. So why isn't their mystic founder--the renowned Saint Grace of Syracuse--providing them with one of the many miracles she so freely supplied in earlier, less desperate times? Or maybe she's at least trying. Though no one is quite willing to give up on Grace, there are few available channels for miraculous intervention, and those that are available are highly unlikely. The possibilities include: Mike--the cerebral, stern, but earnest prioress; Gemma--the unstable 30-year-old novitiate with a dark secret; Arielle--the endearing 20-year-old jailhouse conversion with a history of drug abuse; and Mother Augusta--the unorthodox 90-year-old mystic hermit who performs unsanctioned purification rituals and brews her own magical sacred teas. How this ragtag group will survive a Vatican Investigation is anybody's guess. In the end, MYSTIC TEA is a contemporary love story between young and old, franchised and disenfranchised, pedestrian and mystic. It is a universal tale that transcends religious context, set in the backdrop of the corruption of one of the world's most influential institutions. Most of all it's a story of female empowerment as the sisters struggle to identify a way out of a crucible that no longer works for any of them. Miracles are redefined as crises share boundaries with miraculous transformations, and one way of living makes way for another. – Rave Reviews by Nonnie Jules 5***** Star Rated! I was captivated by this story, couldn't put it down! The author's writing connects you with each character in a way that you feel you know and understand them. It was hysterical, thought provoking, spiritual and absolutely wonderful to read. I loved it!!! This story brought back memories of the nuns I had in school, but they certainly did not have as much fun as the nuns in the story. Ms. Martin gave such vivid descriptions of the events in the story that you felt like you were there. The characters were hilarious even though they all had serious issues. I wanted to be a friend to all of them. Ms. Martin keeps you involved so you want to find out what happens to each character. Loved the ending. Write another book soon! – Awesome read -- couldn't put it down.
" As diverse a collection of women as I've ever encountered, and nuns, to boot! The richly drawn characters in this book range from an ex-junkie novitiate to an aged prioress who seems part religious and part wizard. Holding them together as the once tranquil world around them frays and crumbles is a nun/psychotherapist, who is facing her own questions about a much-tried faith. Martin delivers a wild ride--at times hilarious and often poignant--that keeps you riveted to your seat until the last page. A compelling read, and one that demands a sequel!" – A "League of Extraordinary Women"
This is a wonderful story that is filled with laughter, love and friendship. It makes you see life in the way it is intended, touching on human emotions, love, forgiveness, the spirit. It's hilarious at times but very thought provoking as well. The writing is so well done that you didn't want it to end. Thanks to the author for filling my heart with a beautiful story! – I loved this book! A Must Read!!! I bought this book because. I wanted to read how nuns lived. This book was nothing like I expected. So much better than I expected. It is lively to read. Expect the unexpected. A real page turner. What an enjoyable read Rea Nolan Martin has cooked up this time. The distinct voices she uses to illuminate the internal & external fears, joys, traumas, and growths of these endearing and occasionally kooky women is done masterfully. Everything I read was so vividly depicted in my head, I occasionally felt like I was living on the farm right alongside these women! I don't want to give too much away, so instead I'll just recommend that everyone reads this book! Great job, Rea--I hope you're already cooking up your next big adventure! – This book should be read... seventy times seven times! Each of the primary characters in MYSTIC TEA was given a distinct literary voice and point-of-view (POV). Did you find each Voice/POV to be consistent and easily recognizable? Can you describe the different language/voice used for Gemma, Arielle, Mike, Augusta, Maya? Was the language appropriate to the character? Each of the primary characters is on a specific spiritual journey formed by the circumstances, belief systems and experiences of her past, as well as her goals and ideas of the future. How would you describe each of their journeys? Do you think any of the outcomes of these characters' lives would be different if their journeys had not intertwined and converged with each other? For instance, what would have become of Gemma without Arielle, Mike, or Augusta? Likewise for other character pairings. Would any of them have fulfilled her purpose without the others? This story begins with a monastic community of nuns who are confused about their allegiance to a church leadership that no longer serves or nourishes them. How do they rise above this disappointment to continue serving God and their communities? What would you say are the true vocations of Gemma and Arielle? Had you ever heard of psychic twins (or chimeras) before reading MYSTIC TEA? The author thought these conditions were a figment of her fertile imagination until the subsequent appearance (two years later) of an article in The New York Times, Tuesday, September 17, 2013: DNA Double Take. Do you ever sense things before they happen? Do you think anything else in this book might be prophetic? Vera Wright is a quirky sixty-plus beautician who is perpetually trying to improve herself. One Sunday she decides to respond to her pastor's challenge to "surrender her life to God" because, why not? At least it would make her a better person. Much to her shock, this quiet little gesture is taken seriously on the "other side", and from that moment forward she is relentlessly recruited to save the world. Vera is a most unlikely crusader, who battles this new vocation with every tool in her parlor. Chaos ensues, including mystical visions, out-of-body mayhem, bilocation, lucid dreaming, and drawers full of mysterious automatic writings. In the process of her own reluctant sanctification, she persuades her beloved church lady friends to create The Society of Loaves and Fishes, the first order of female Catholic priests. There is a new order of miracles, she tells them, that God can only perform through women. The novel explores the extraordinary potential in simple and humble people with a wink and a nod to the harrowing cost of true spiritual commitment. It is an optimistic and humorous story with serious underpinnings that will entertain and inform both saints and sinners. Vera is Laugh Out Loud funny...Soul searchingly poignant...Beautifully written...every page a treasure and a joy! Vera's Transformation mirrors many of our own adventures, after asking the question..."Why am I here?" Inspired guidance and direction for those of us, on Planet Earth, at this time. – Thought-provoking, compelling and funny, all at the same time! – A Thought Provoking - WOW Experience! – I couldn't get enough! Authors often deliberately employ a variety of literary devices in their storytelling. One of these devices is symbolism. At what point was the symbolism of Vera's profession obvious to you? At what point in the story did Vera's personal priorities change and how did this affect her profession? Another literary device, used especially in visionary novels, is the use of archetypal names. 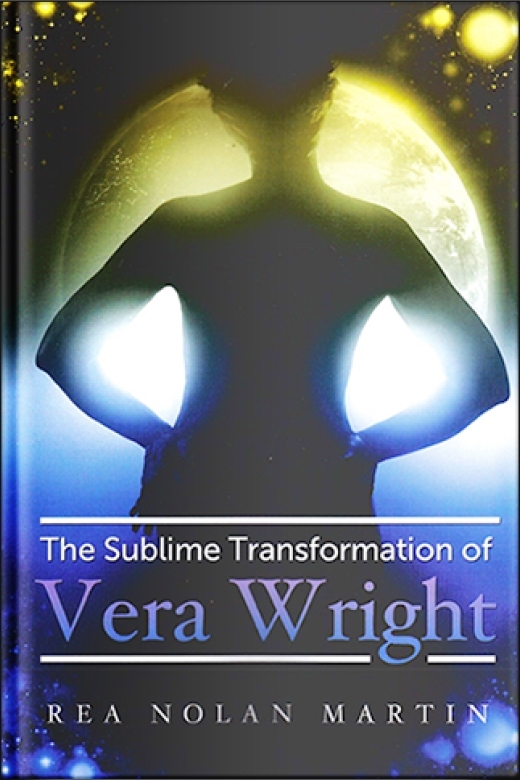 For instance, Vera Wright is derived from the Latin "veritas" for truth and "right", for absolute. So as a prophet, Vera's name represents Absolute Truth. Can you identify the meaning behind other names in this story? Foreshadowing is another effective literary device. Can you identify the place/s where Vera's ultimate transformation was foreshadowed? Characters are often placed in specific relationship to one another as protagonists/comrades or antagonists/adversaries in order to reveal certain things about themselves that lead to their growth and transformation. Which characters were protagonists/comrades and which were antagonists/adversaries? What did these confrontations or empathies reveal about each character? How did it help them grow? Do you think Vera would have been able to fulfill her mission if Monk had lived? If Mia had not reformed? If Father Max had turned his back on her? Are you ‘exactly where you are meant to be’? Do you know how to manifest your dreams? Put the power back in prayer? Stop a war? Heal yourself? Change the course of history? Do you know that Faith is not the same as Belief, or Power the same as Force? Do you know why we’re up to our necks in Vampires and Zombies? In this collection of 32 original, eye-opening essays, author Rea Nolan Martin addresses these issues and more. She digs deep into her own experience to blaze a clear path of awareness and empowerment through the social, psychological and spiritual morass of these confusing times. Poised as we are on an evolutionary precipice, these insights have the potential to change the way we look at the world, and in so doing, change the world. Having now read everything that Rea Nolan Martin has written I was intrigued at the thought of getting to know a little more about the mind behind the stories. If you have read Mystic Tea or Anesthesia Games you will know her books encourage a lot of reflection a well as being highly enjoyable to read. 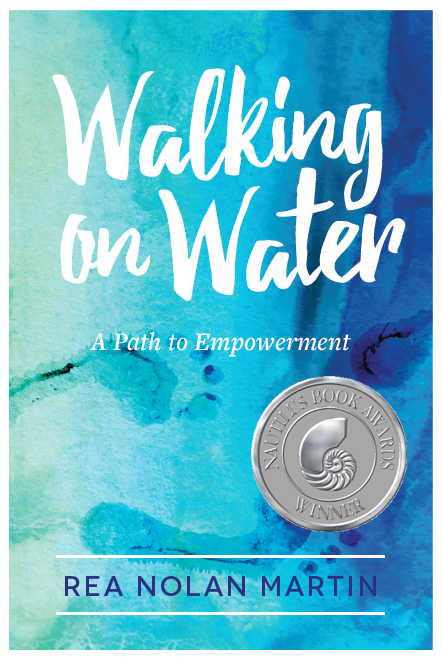 Walking on Water: A Path to Empowerment is a very apt title because she reminds us that we wall have a part to play in shaping the future. The essays and reflections are both deep and thought provoking, besides being a glimpse into the mind of a top notch writer.